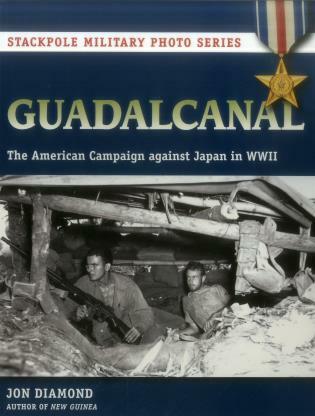 On August 7, 1942, U.S. Marines landed on the island of Guadalcanal, northeast of Australia, launching the first major Allied offensive against Japan. In one of the best-known campaigns of World War II's Pacific Theater, the Marines and then the U.S. Army endured a bitter six-month struggle for the island. Jon Diamond has written extensively on military history topics. In addition to articles for World War II History and Military Heritage, he is also the author of Guadalcanal (978-0-8117-1626-0), New Guinea (978-0-8117-1556-0), Orde Wingate (978-1-84908-323-2), and Archibald Wavell (978-1-84908-737-7). A graduate of Cornell University, Diamond is a medical doctor in private practice and has taught at Harvard and Penn State. He lives near Harrisburg, Pennsylvania. © 2015 Stackpole Books. An imprint of Rowman & Littlefield. All rights reserved.